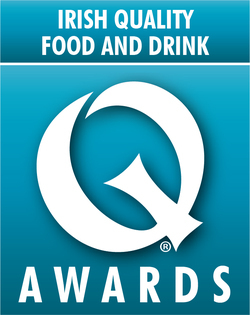 These awards are open to all food products aimed at the mainstream retail market in Ireland. If your product is Free From or is a healthy alternative to a mainstream product, enter into the Irish Good Choice! Awards here. Each category has been specifically tailored to represent the key drivers in today’s ever-changing marketplace. Category definitions have been provided to help you select the right category for your product to be entered. This year we have made the entry process clearer and simpler for you, by combining products into headline categories and including the Foodservice awards in the main entry process. Products will be sorted and judged in their appropriate subcategory and awarded in the same way as previous years. Food that is specially designed and marketed for children over the age of 2 years can be ambient, chilled or frozen. Fish products that are either fresh, frozen, prepared (eg breaded) or smoked. This category includes coffee (instant or pods), tea (black, white, herbal, fruit and infusions). They can be of any variety and country of origin. Alternative hot drinks also include e.g. hot chocolate, malted milks. Includes both chilled and frozen, and roast-in-the-bag. Products can include sauces, garnish, crumb, and can be plain or stuffed. Pasta can be fresh or dried, with or without filling. Rice and grains e.g. couscous and pearl barley, can be of any variety or flavouring.